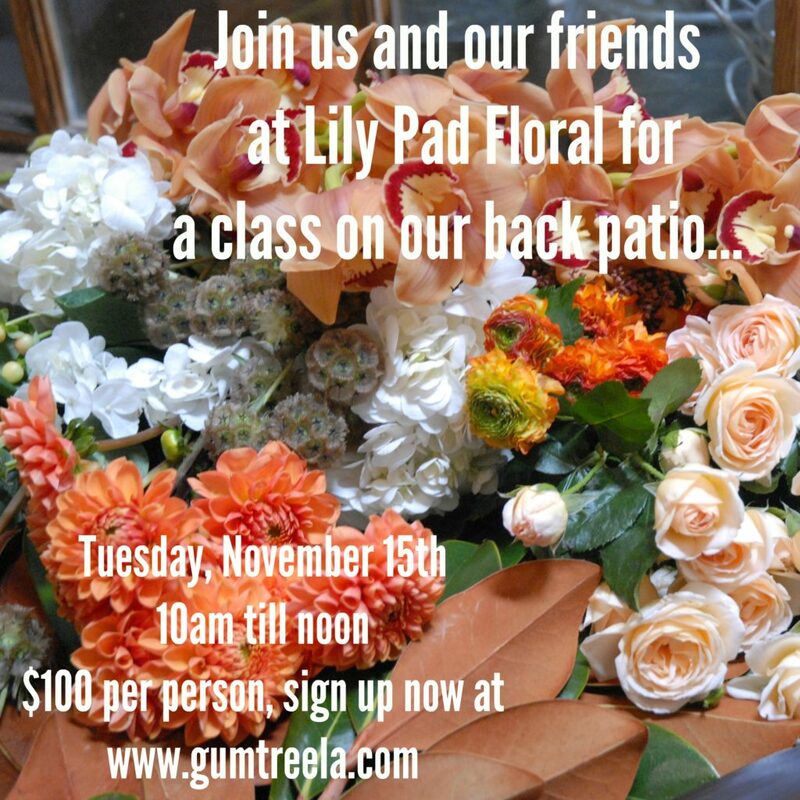 Lily Pad Floral Class at Gum Tree! We’re excited to invite you to sign up for an upcoming event at Gum Tree. We’re partnering with talented local florist, Rebecca Perry of Lily Pad Floral for our first ever Floral Arranging Class. On the back patio at Gum Tree. Thursday, November 15th from 10am-noon. Space is Limited, we can only take 12 of you…so sign up now by clicking right here. You’ll take home a beautiful fall arrangement, a new pair of floral clippers, and a rose stripper. Light brunch and coffee will be served as well.